Purchasing backpacks for the kids can be an expensive proposition if you are only going out on an occasional trip. Instead, rent a backpack for your kids from us! Our packs are suitable for an overnight to 3+ day trip and loads of up to 20 lbs. 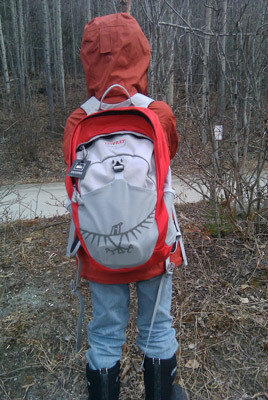 All our packs are Osprey Teens and Kids packs that are fully adjustable and fit 90% of the kid hiking population. Jib - 38 Liter, 2.4 lbs - up to 4' 9"
Ace - 48 Liter, 2.9 lbs - over 4' 9"